One of the most notable operational distinctions resides in Exchangeware™, proprietary and comprehensive POS system that optimizes the Buy-Sell-Trade transaction. Exchangeware allows store personnel to provide optimum market-value to both traders and purchasers. 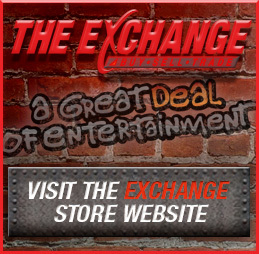 Where Exchangeware™ drives retail sales, Exchangewarehouse™ powers the entire retail franchise opportunity. Not just a corporate-wide inventory control and reporting system, Exchangewarehouse™ provides the necessary training and support to drive toward success.